Sites should work fast, pages should load quickly. This axiom of Web hosting is too trivial, yet it's the cornerstone of sites popularity. My recent study, namely SSD-based hosting, showed that it didn't result in lightning fast sites all over the 'Net. Superfast storage becomes more and more common, but sites are, were and will require optimization. One of them is serving rarely changed content off content delivery network, CDN. I have had experience with several CDNs. To name a few most interesting: MaxCDN, CDN77, Amazon CloudFront. At the dawn of 2014 summer I had to start looking for a CDN to migrate to. Believe me or not, but KeyCDN was the second I found when searching for corresponding keywords, and it took quite little time to decide to give it a try. Costs, speed and so on isn't exactly what matters. Every hosting is good when everything's running smooth. Attitude to customers is what makes difference. I like the attitude at KeyCDN. HostSailor has established itself as a trusted provider of high quality VPS Hosting, Domains, and SSL Certificates with top notch support and impeccable reputation and also offers some of the most competitive pricing, without sacrificing on the quality of the products and services. You might hear about BlueVM, a known OpenVZ/KVM VPS provider from Colordao Springs, CO, USA. Atlantic.net, a well-known cloud hosting services provider, sent me a note today about new 30% off pricing for their cloud VPS plans. To those in a hurry: here are the prices as a chart. Just click on the picture to try that for real. Impressed with prices? Me, too. I was so impressed, that I have created a VPS, to serve as a backup mail service for myself. Why do you need your own mail service? if you ever thought about owning your own mail service, then, perhaps, you need one. It's not that hard to set up and maintain, as it could seem. In fact, I will lead you through the process of setting it up, in case you need it. 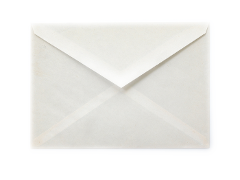 So, why not to use popular, well-known mail services such as Google Mail? To me, primary purpose of having one's own mail service is privacy. Nowadays, private life of users isn't guaranteed, isn't protected. On the contrary, a principle «you have nothing to hide in case you do nothing wrong» is introduced into people's minds. However, privacy us your right, still fomally guaranteed by many constitutions in many countries, so why not to take what you have right to have? Apart from buying VPS ro cloud server to set up all the mentioned services on, all the rest is free of charge. Interested? Just leave me a note (comment) to this post if yes. That would help me much when building this and other tutorials. In short: today (August 27-th, 2013 A.D.) Prometeus, well-known Italian hosting provider, opened registrations for iwStack, high-availability cloud-type VPS hosting. Below I will describe the event and what happened earlier, in more details. However, if you are not a Prometeus customer. I suggest considering becoming one. No, there will be no promotions for this blog's readers. And a deposit is required to start using the new service. Not too attractive? On the contrary: if you consider my reviews good enough, I suggest giving this new service a try. The mentioned deposit (30 EUR for new customers; 15 EUR for existing customers; there are discounts, by the way). You might hear about Digital Ocean, simple and reliable cloud hosting service, available at quite moderate prices. You might as well notice that SSD Nodes created new personal cloud line, making their extremely robust VMs available at very attractive price. The iwStack opening adds a new good-looking fellow to this nice company of fast inexpensive clouds (including CloudSigma, by the way). In the beginning it was word. And the word was «Beta». IOPS, or input-output operations per second, is a popular parameter, good enough to feel exceptionally proud about. Of course, hosting provider but rarely manufacture storage devices, in order that proud mentioned be authentic. Yet these magic numbers are always posted and referred to. In the VPS benchmarks (see links above) on this site, these benchmarks are measured by performing that many input-output operations, each handling 4kB of data (4096 bytes). Cloudive.com's contacted me to run a series of tests: how would SSD disk behave when placed into RAID of different types. Note that unless RAID controller recognizes SSD and can perform specific commands like TRIM, it's actually doesn't provide any specific advantages when utilizing RAID. The testing performed has provided to me that well-known SSD Guard is, in fact, of little real use when talking about boosting disks operations I/O. To those not familiar, I cite manufacturer's explanation. SSD Guard™, unique to MegaRAID, increases the reliability of SSDs by automatically copying data from a drive with potential to fail to a designated spare or newly inserted drive. A predictive failure event notification, or S.M.A.R.T command, automatically initiates this rebuild to preserve the data on an SSD whose health or performance falls below par. This new feature will greatly benefit users employing a RAID 0 configuration due to the added data protection. When enabled in MSM, SSD Guard will protect any and all logical volumes built using SSD devices (figure 6). In figure 7 and figure 8, we see a MegaRAID adapter with a RAID 0 volume built from two solid state disk drives. Should one of these drives fail, data loss would occur. However, since SSD Guard is enabled, the MegaRAID adapter is actively monitoring the status of both SSDs. Should a failure appear to be eminent, the MegaRAID adapter will automatically begin rebuilding data onto a third SSD hot spare. If a hot spare is not present or not assigned to the RAID 0, MSM will recommend that the user insert a hot spare drive into an available slot. Once the drive is inserted, copyback will begin. Now let's talk about I/O measurements. SSD disks are fast, but expensive; «usual» drives (SAS, SATA) are less expensive, but slower. Note that I asked you an incorrect question. No one says there can't be two types of storage available at the same time. Just as in case of 64u.com earlier, Openvirtuals offers two types of storage: SSD and SATA at the same time. After having etsted that, I admit this is a good offer: fast I/O isn't that important for all the tasks; in my case, rarely used data are often stored elsewhere, and frequently used ones (database files, for example) are on faster media. However, I liked Openvirtuals, since I happened to notice how do they handle conflicts with their customers. And I liked the way they did that. 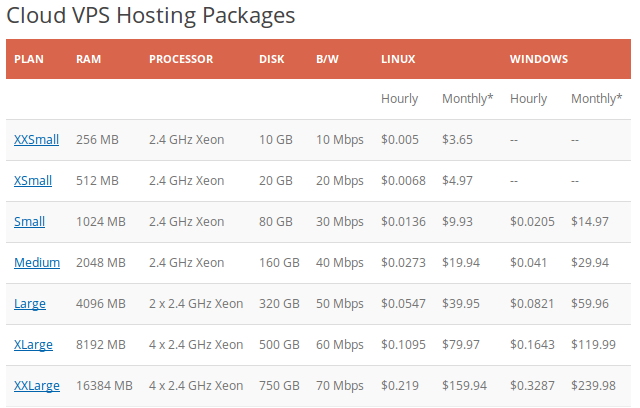 Lowendians, or low-endians are hosting providers offering low-end hosting solutions. In case you don't know about this rather large part of modern hostingsphere, feel free to visit LowEndBox (LEB) and LowEndTalk (LET) sites. You will quite many interesting posts/offers, by the way. However, the post's subject starts with OVH name. You can easily find facts about OVH on Wikipedia. To me, this is reliable and huge provider with very strange policies towards their users. I am OVH customer since March, 2012. The Kimsufi server I tried wasn't very impressive, so finally I have canceled it. In July, 2013 several events happened that changes OVH image and, as some say, will destroy lowendians' business. Can that be real? I started using VPS/cloud services of BlueLightHost in late April, 2012. Since I am now leaving their hosting facility (more about that below), I suppose it could be fair to provide review. Copyright © 2011-2012 Konstantin Boyandin. All Rights Reserved.